Jenny Beth Martin, the co-founder and President of Tea Party Patriots, was gracious enough to write the foreword to TAKEOVER and I am honored to be able to begin excerpting TAKEOVER by sharing her foreword with you. There is a bitter political civil war taking place that will determine whether America remains a constitutional republic. It is a timeless struggle between those who have power and those who desire to be free. The modern version of this struggle is not between Democrats and Republicans, but within the Republican Party itself. This civil war began over one hundred years ago and not with the rise of the Tea Party movement in 2009. It is a civil war between limited-government, constitutional conservatives and the progressive, establishment wing of the GOP. And make no mistake: the establishment wing of the Republican Party is progressive, and has been ever since conservatives stymied Teddy Roosevelt’s attempt to reclaim the Republican presidential nomination in 1912 and make progressivism the governing philosophy of the Republican Party. In the years since 1912, this civil war has been playing out, and for the majority of that time, from the Taft-Eisenhower campaign of 1952 to the Tea Party’s battles to nominate and elect limited government constitutional conservatives in 2010 and 2012, Richard Viguerie has been in the thick of the battle. Richard’s objective in writing this book is to provide a plan for conservatives to win this civil war based on the lessons he has learned—from both success and failure—in over fifty years of being active in the conservative movement at the national level. It is a plan for constitutional conservatives to take over the GOP so that we may restore the liberty and opportunity that the Founders intended and protect that great document, the United States Constitution. The millions of Americans who are drawn to the Tea Party movement understand that progressives in both the Democratic and Republican Parties have usurped power and overrun the Constitution. The Obama administration is the most extreme example of progressive rule, but the road to where we are today was built with the willing participation of establishment Republicans. Madison’s “remedy” must play out within the Republican Party since the Democratic Party has been completely taken over by progressives whose policies cannot succeed without ignoring and violating the Constitution. Time is running out, and if we fail in this task, our children, grandchildren—our posterity—will never know the America for which millions have sacrificed their labor, capital, lives, and limbs. Unless the Republican Party fulfills its promise and becomes the constitutional alternative to the progressives, I fear the “American experiment” is over. The rise of the Tea Party citizenry and the election of young, principled constitutionalists to the Congress and in state legislatures is a sign that this war is about to turn, and in TAKEOVER Richard Viguerie gives us a road map to make it turn in our favor. Where we are now is the culmination of decades of struggle, which is why the younger people in our movement especially must know what has worked and what has failed up until now. It is to the younger generation, who has the most “skin in the game,” that TAKEOVER is addressed. Those who join us in this civil war are fulfilling an obligation to our children, grandchildren, and generations yet to be born that I dare say is no less consequential than that of the Founders. The goal of Richard Viguerie’s TAKEOVER is for limited-government constitutional conservatives to take over the Republican Party and govern America in 2017. I urge you to read the book, follow the plan, and get in the fight today. Submitted by hmhervey on Fri, 04/04/2014 - 13:11. While I understand the sentiment for conservatives and TP activists trying (again) to takeover the GOP, that war has been waged for the last 15 years without success. It's time to make a clean break from the GOP and create a Party from the ground up. 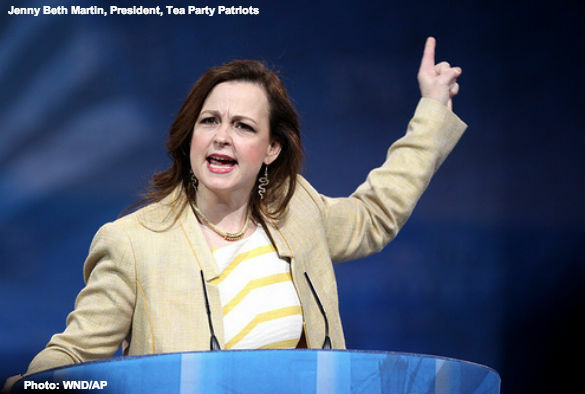 The Conservative Party welcomes Jenny Beth and other Tea Party members who understand the need to not waste all your blood, sweat and tears on trying to change the GOP. Submitted by smapple on Fri, 04/04/2014 - 15:36. Lest we, or the media forget, the Republican party was founded on conservative CONSTITUTIONAL principals. i.e. Conserve the sanctity of the constitution. Therefore, this is not a TAKEOVER, it is a TAKE BACK. The progressives have infiltrated every corner of our nation, and we need to drive them out. Just because they move into our neighborhood is no reason to abandon the neighborhood. NO, our forefathers have invested too much for us to simply give up this position we have owned. If we do, where do we run to next when they infiltrate the so-called "tea Party" or the constitutional party or whatever? WE NEED TO STOP RUNNING.